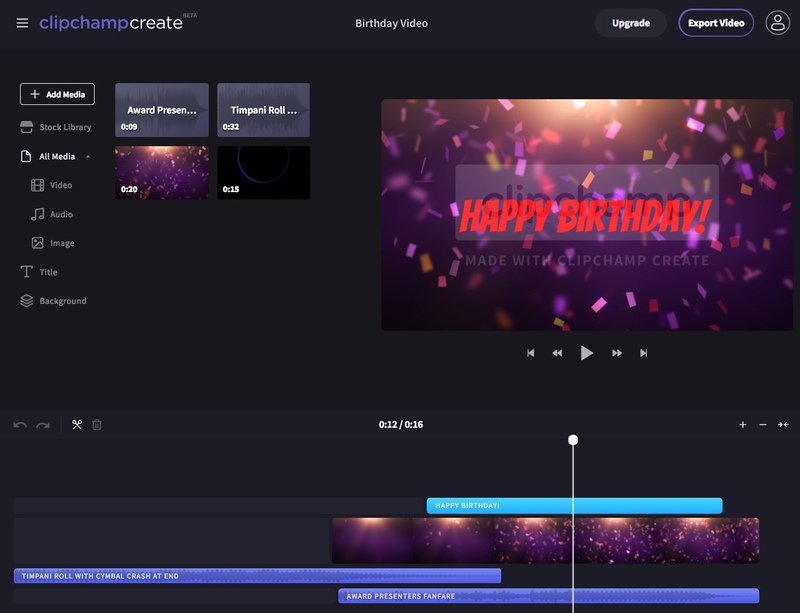 Clipchamp works with StoryBlocks to offer a library of thousands of stock videos, graphics and backgrounds that you can add to your Create projects. 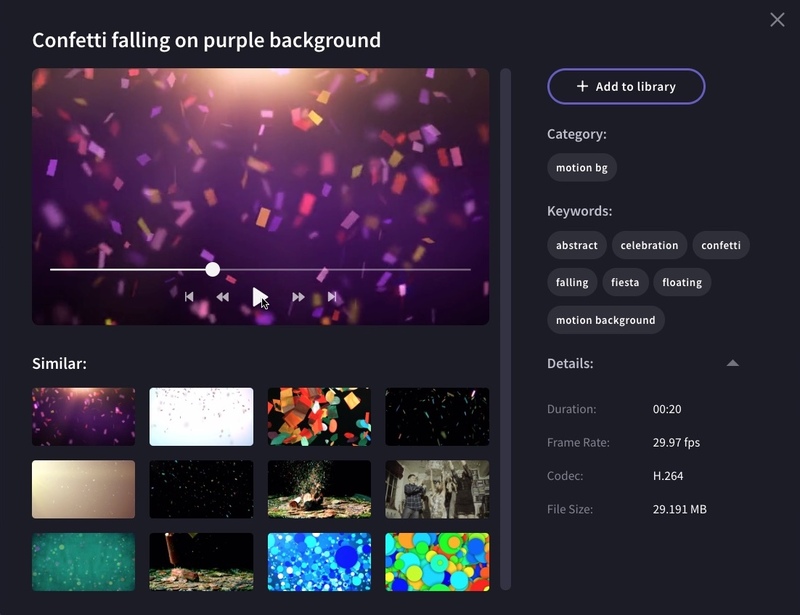 If you're on the free Basic Plan, you'll be able to add stock videos to your projects, but they will be watermarked (there will be a grey Clipchamp logo on your videos). 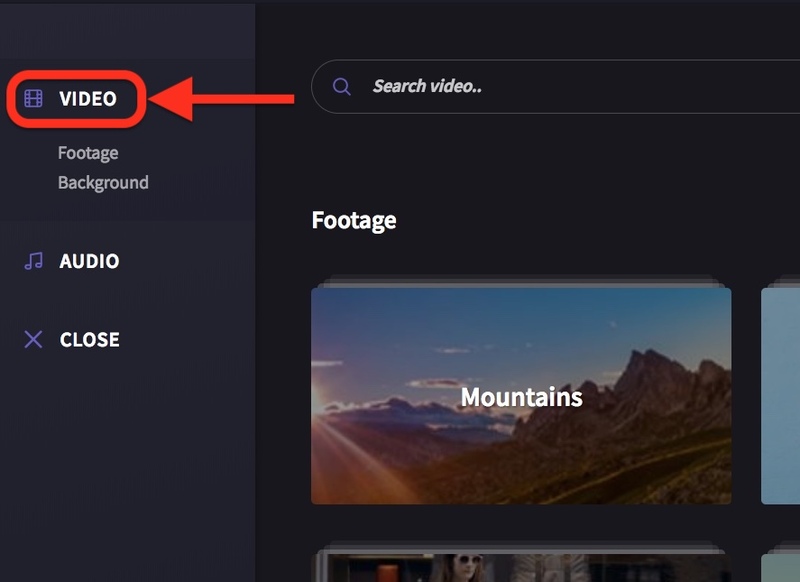 To remove watermarks, you can purchase stock videos individually when exporting the project or upgrade to a paid plan that includes access to stock videos. While on a plan you'll be charged a monthly or yearly subscription fee. NOTE: you can always use your own video files in editing projects for free without any watermarking. Type the type of video you would like to find into the search bar at the top. 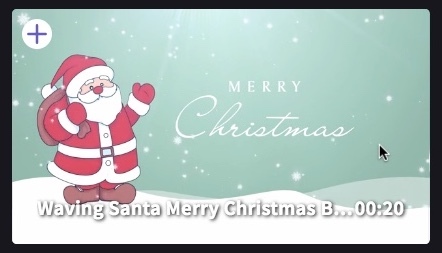 For example: "champagne", "confetti", "wedding background", "Christmas graphic"
You can hover your cursor over a video result to see the video play. 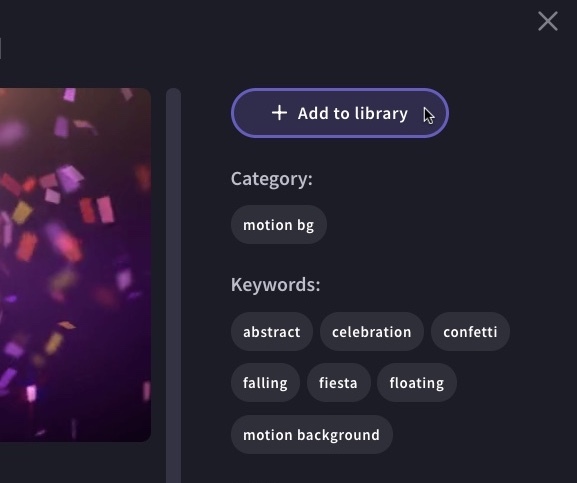 When you find a video asset you want to use, add it to your project's library. It will make it available for you to try in your project until you're ready to export. 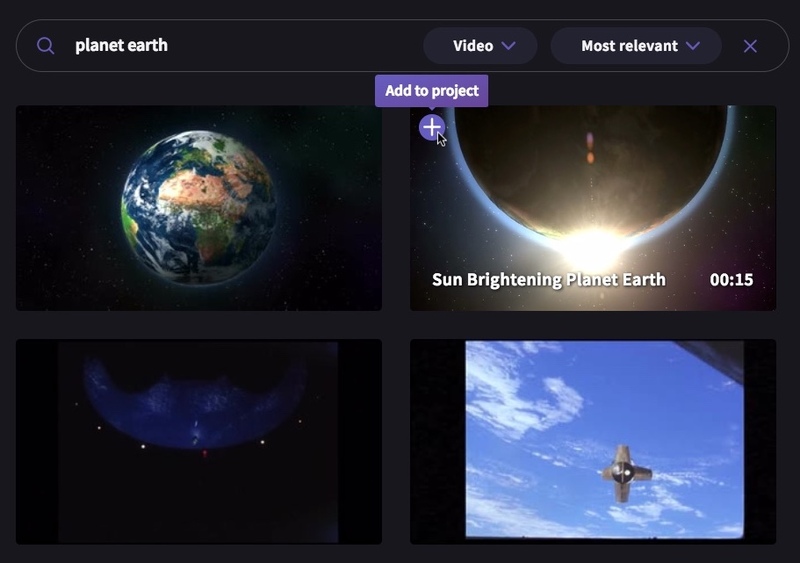 TIP: You can add several video assets to your project's library while browsing, then return to your project to work with them once you're finished. You can also remove assets from your library later if you don't want to use them anymore. You will be returned to your project and can start working with the stock assets you selected. 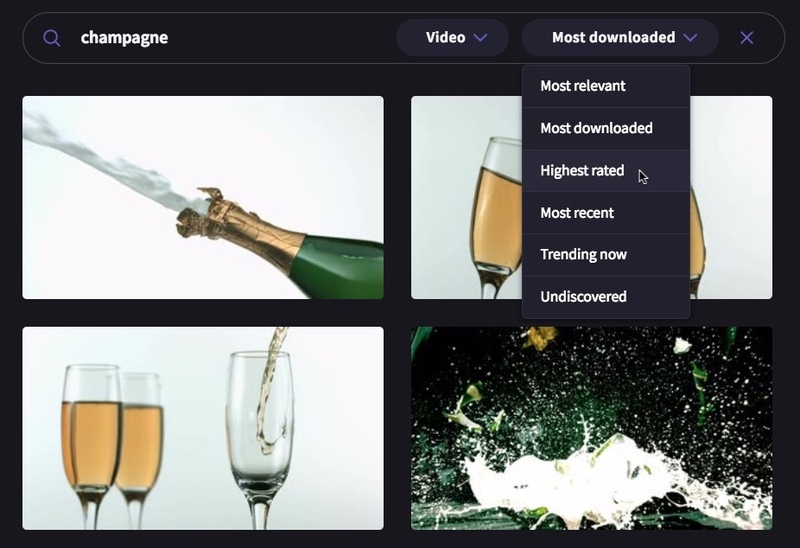 The stock videos you've added should now be visible in your project's media library in the top left. You can drag and drop them into your timeline at the bottom of your project to start working with them. 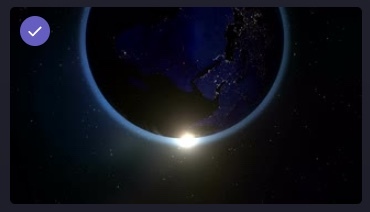 When the video plays you will still see the watermark at this stage if you are on a Free Plan. 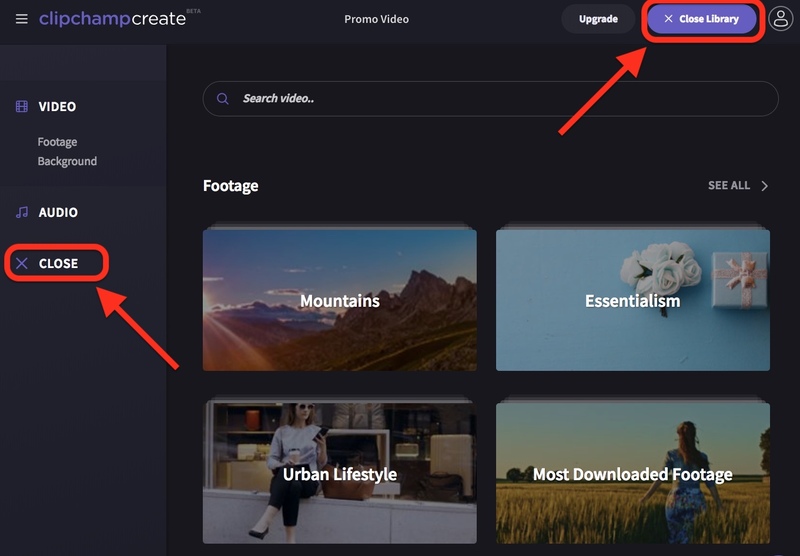 The watermark will be removed if you purchase the stock videos or upgrade your account to a paid Create Plan that includes stock assets. 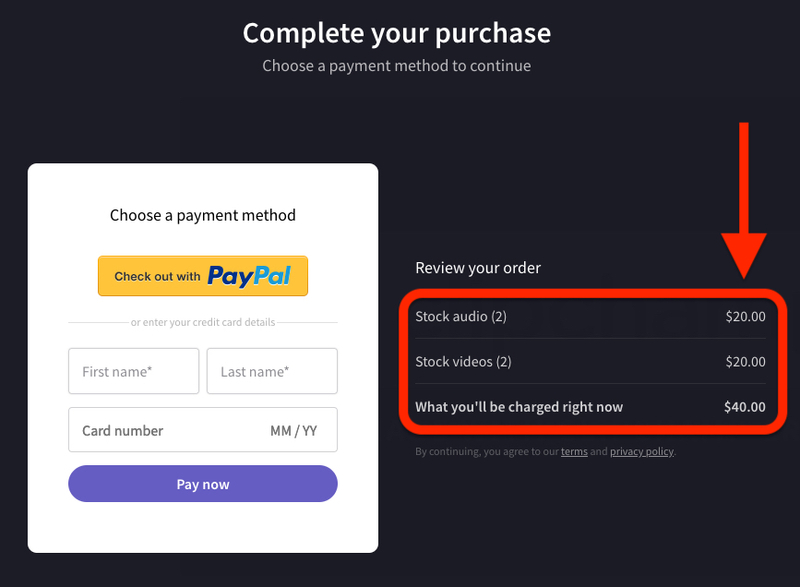 make a one-off purchase of the stock videos in your current project by clicking the pay to export once button displayed at the bottom of the screen. 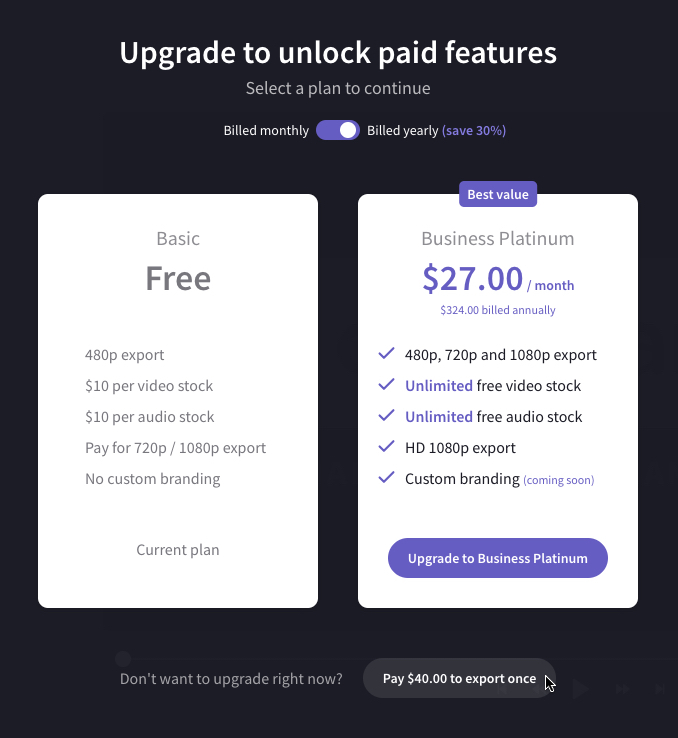 NOTE: Once you purchase a stock video you will be able to export that video as many times as you like, as well as use it in other projects, without having to pay for it again.